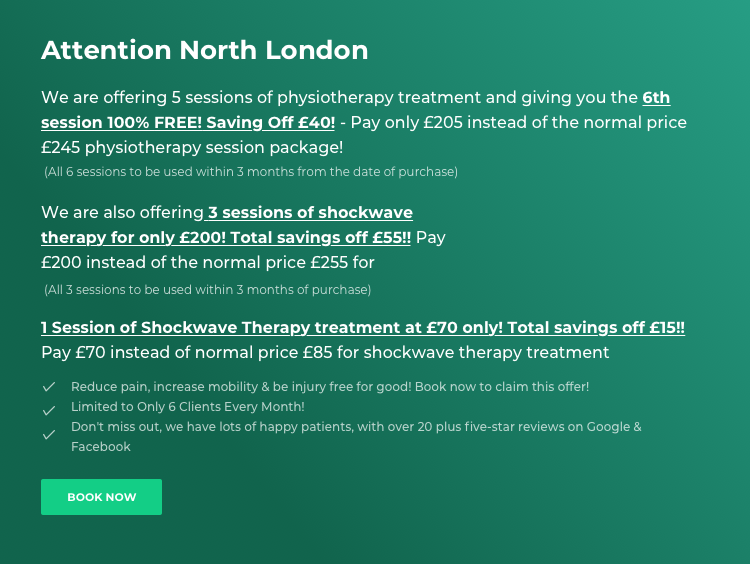 If you are too unwell or not mobile enough to visit physiotherapy clinic, Southgate Physio located in North London can easily make arrangements for home care. Our therapists will provide you relief from pain, ache and other injuries in the comfort of your home. We treat each home appointment with immense priority and offer immediate attention. All of the treatments administered at our clinic can be provided to you in your home. You can relax in your personal environment whilst one of our therapists take care of your problem. Home visits enable our experienced physiotherapists to comprehensively examine your condition and find personalized solutions to manage your difficulties. Moreover, patients who have been living with a neurological condition like, Multiple Sclerosis will hugely benefit from home visits. Our therapists will not only provide rehabilitation treatment to better your condition, but will also share their insight and guide relatives or care givers in handling and moving techniques. This will create a ripple effect and ensure that you get the best possible attention and care at all times. All of our aforementioned physiotherapy services are provided where you need it and when you need it. We understand that life is hectic and our home visits are aimed at saving you the hassle of travelling to a busy clinic. Thanks to a highly passionate team of physiotherapists, we bring to you the very latest and proactive physiotherapy techniques for treating osteoporosis, dementia, back pain, joint and muscle aches and pains, falls prevention therapy, stroke rehabilitation and so on. Our physiotherapists are all from renowned Universities and have been hand-picked for their dedication, high-level of experience and expertise. Our physiotherapists are chartered and registered. Furthermore, we can assist you with general fitness and provide support for full recovery post operation. 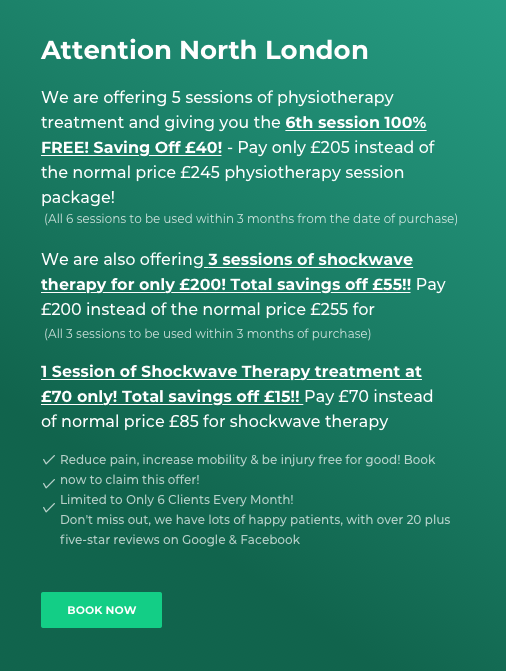 Whether you cannot visit our clinic due to pain, old age or simply prefer the convenience of your own home, get in touch with Southgate Physio. We provide home care services that are second to none. Contact us to avail our management of long-term conditions or short term intensive rehabilitation services from the comfort of your home and with no waiting line. 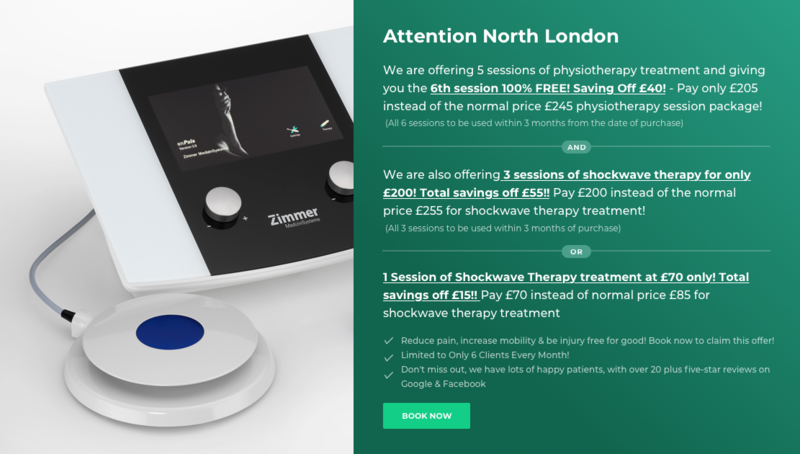 To know more about our home visit physiotherapy treatment, give our expert therapists a call on 02083686767 or have a visit to our Southgate Physio Clinic North London.